The perfect gift for a male or female. 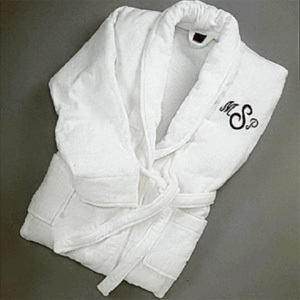 This heavy weight robe will make a wonderful wedding, birthday or a thanks for letting us use your beach house gift. 48" Shawl Collar Robe. WHITE ONLY.